Naturalistic pedestrian path along Lake Orta. The dirt road connects the Buccione area, passing from the Gozzano beach, on the border with San Maurizio d'Opaglio. The route is called "via dei Canneti" due to the presence of protected reed beds whose nesting species include birds, grebes, common beetles, coots and moorhens. It is a path of about 1 km. which then continues to the hamlet of Lagna di San Maurizio d'Opaglio, then joins the main road to Ronco di Pella, always along the lake. 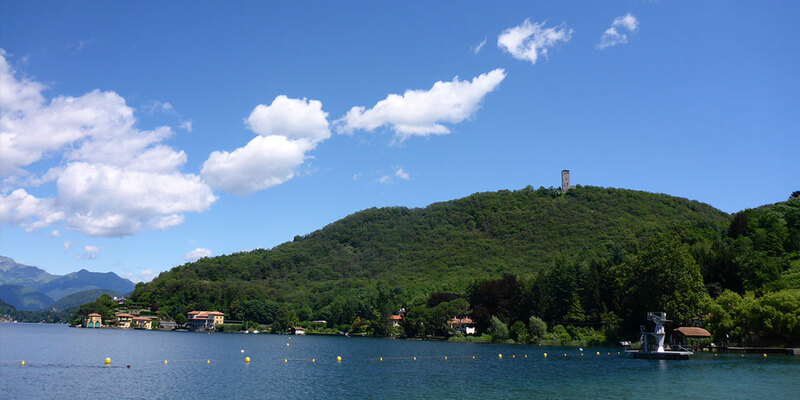 Very popular all year round from runners and cycle-amateurs, it also includes well-equipped pitches with benches for resting at striking views of the lake.